In Slavic folklore, Rusalka is a female spirit often associated with bodies of fresh water. In spring they are known to leave the lakes to bring moisture to the fields and help nurture the crops. 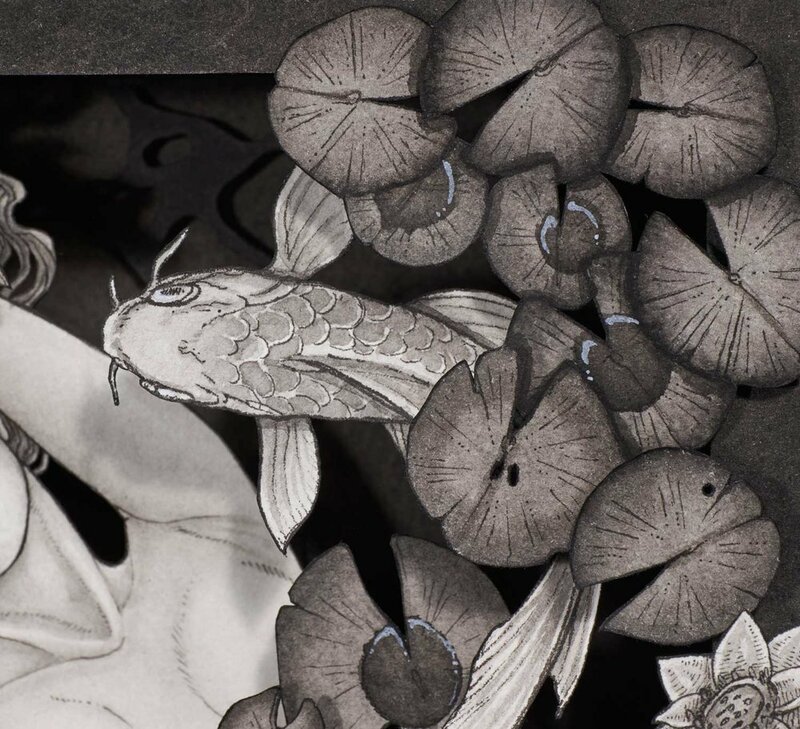 Rusalka frequently resembles the concept of a traditional mermaid but instead of a tail possesses human legs. 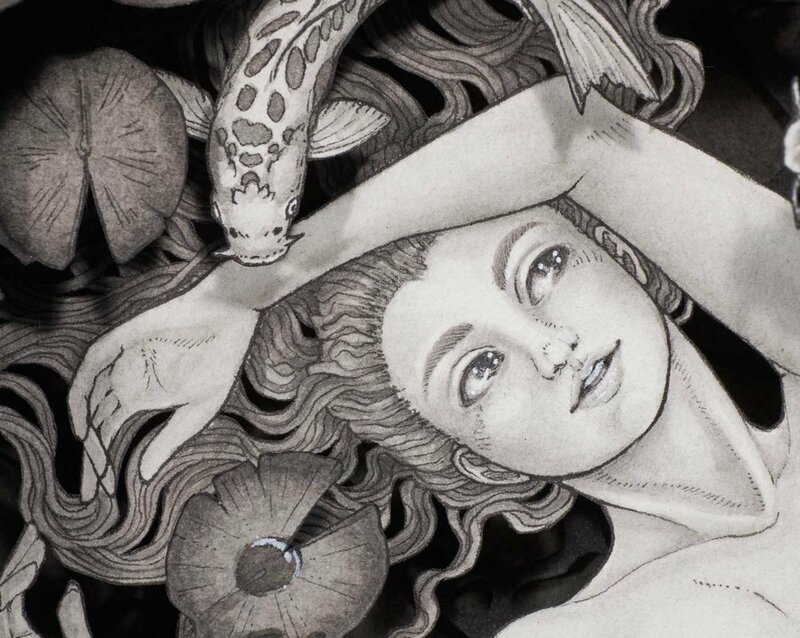 My take on this theme is a female entity playfully swimming with carps beneath leaves and flowers of water lilies. Sign up with your email address to receive news and updates about upcoming events and new work!